We love dogs (and all pets for that matter). We don’t try to hide it at all. Anyone who visits the office on a regular basis has met Suki, Jesse, Amber or the many other canines we bring to work. We wanted to take a few minutes to share with you the stories of how some of us came to adopt some of our pets—many of which came from shelters and rescue organizations right here on Long Island. There is no question that our big goofy rescued mutt, Wilbur, was meant to be our dog. Actually, Wilbur is our third rescue. Our first, Nicki, died of cancer in 1997. Our next, Cookie, a German short-haired pointer that was found at a park by a friend and turned into the local shelter, was only in our lives briefly and ran away less than a year after we adopted her in 1999. Then came Wilbur. I had no intention of adopting another dog: the pain of already losing two was just too much. But then, as I was reading the Sunday paper, I saw Wilbur, who looked to be the spitting image of sweet Nicki. My husband, Tom, who was at work 30 miles away, saw him, too—and called home. “Did you see the paper?” When I told him I was reading it, we both said: “Wilbur.” I called the woman who was fostering him and she brought him to our home. The kids, smaller than the dog at the time, fell in love right away. And Tom and I did, too. He’s Tom’s walking buddy, my 70-lb. lap dog and the best security system on Long Island. And by the way, he really looks nothing like Nicki. Good thing for him that doesn’t matter anymore. I’d like to introduce you to Chloe, our rescued dog. She is a Shipoo (Shitzu/Poodle) we adopted from an animal shelter in Florida when my family was living there. Chloe was 2 years old at the time and about to be put to sleep if the shelter was unable to find her a home. 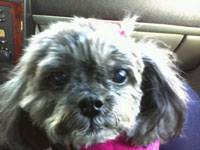 She had been abused and had to fend for herself since her owner abandoned her and she was found roaming the streets of Jensen Beach at a mere 3 pounds. Chloe is now 10 years old and the center of attention in our family (not to mention her Buddha belly since she weighs in close to 8 pounds). She’s a spoiled princess that hates the snow and won’t walk on grass, but loves her peacoats, pink sweaters and princess pillow that rests on the couch. She is very protective over us but to this day still shakes and backs away at times due to her being violently abused. We do whatever we can to help her get past those fears with love and affection. I had grown up with animals around me my entire life. When I left for college I had to live with a new breed of animal, roommates. After my freshman year of college it was time to move into an apartment. To me this meant one thing – I could finally have a pet. While I wanted a dog, my apartment complex didn’t allow them. During Christmas break my parents took me to a few humane society shelters but I didn’t find a pet that I clicked with. It wasn’t until I went to Toledo that I found my cat, Sadie, at a rescue shelter. She was piled into a cage along with two other litters of kittens, but something about her stuck out to me. It didn’t take long to figure out how special she is. She is a dog trapped in a cat’s body. Sadie plays fetch, chases her tail, greets me at the door and generally just puts a smile on my face. Now that I have moved to NY she is my little piece of home I was able to bring with me, and I can’t imagine being here without her. and I are always thinking about the life we’ve given to Trixie. Our cat, Princess, was just eight weeks old when she stole our hearts. She was so playful and lovable from the moment our daughter Erin took her out of her cage – she just loved playing with her hair. Though she seemed perfect to us, others who had seen her had quickly dismissed taking her home. Having suffered from an upper respiratory infection early on while living as a stray, her two eyes were left with a film over them that prevented the color of her eyes from shining through. She was lacking those true, clear, colorful cat’s eyes. When we asked, Erin if this truly was the kitten she wanted, she responded, “I know her eyes aren’t perfect but she still needs a home.” Such an insightful, loving thought from an 11 year old! We’ve had Princess for seven years now, and though those eyes may be cloudy, she has opened our eyes as to how much love you can give and receive from a pet. We are so glad we brought that little black kitten into our home. She showed us firsthand the valuable lesson we had taught our children … no one is perfect and all are in need of a home and love. As soon as we closed on our house I was anxious to get a dog. I found Amber on Petfinder.com and before I even told my husband about her I sent an email inquiry – one look at her photo and I had to have her! She had been turned in to a kill shelter in Brooklyn by a family that had lost its home and couldn’t take her wherever they were moving to. 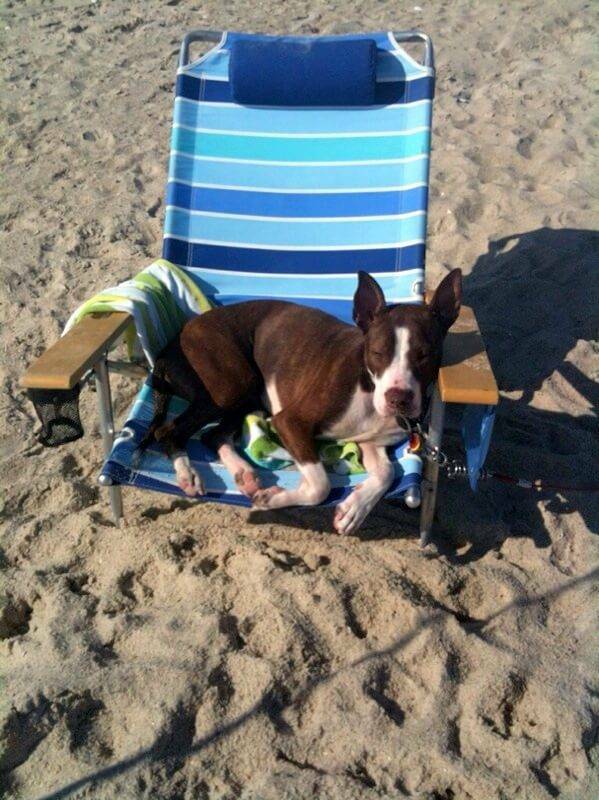 The shelter workers recognized that she was a sweetheart and reached out to Heart and Soul of Long Island. 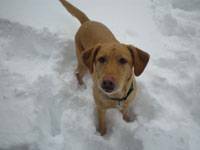 Amber is mostly yellow lab and Heart and Soul had been listed as a lab rescue with shelters outside Long Island as well. My conversations with the woman who was fostering her convinced me even further that she was the dog for us. Good with people, animals, kids, already housebroken, doesn’t chew things or go on furniture… it sounded too good to be true! But it was true. The moment we met her, we were in love. After enduring a two week wait while our references were checked and our home visited by a Heart and Soul representative, we finally got to bring Amber home. It’s been almost two years now. She’s an incredible dog and brings so much happiness to our lives, and we do everything we can to do the same for her. She comes to work, family gatherings and friends houses, goes for multiple walks each day and gets cuddle time at night. She may be the lucky one for being rescued, but it feels like we’re the lucky ones for having her in our life. My wife and I believe that with so many pets in need of a home, there’s little reason to go out and purchase a pet. We’ve had several generations of rescued pets, and the result has always been wonderful. Our current two cats, Raisin and Willow, are sisters we acquired from a local shelter. Rather than separate them we took them both, and we all the happier for it. 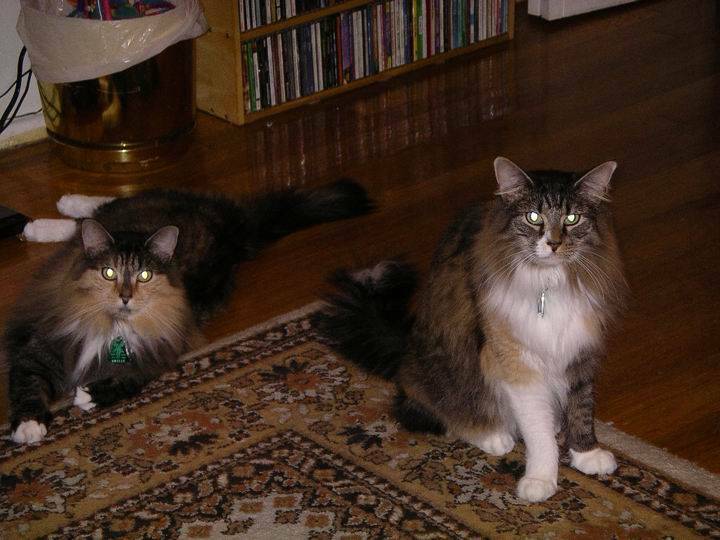 We brought these two home nearly a decade ago, shortly after we lost two previous rescues from old age. Today, our cats spend much of their time sleeping or watching the squirrels and birds outside the windows. Our next pets will also be rescues, and we anticipate that we may add a dog to the family in the near future. I highly recommend that if you have room for a pet, you too take in an animal in need. The pet will be much better off for it and you’ll know you’ve done a good thing. It’s nothing less than the gift of life. We’d love to hear about how an adopted pet has changed your life and how you’ve changed the life of your pet in the comments section below. Even more, we’d really like to see you at Unleashed, the annual fundraiser for Pet Peeves, a not-for-profit organization that benefits animal shelters on Long Island. The event is the perfect opportunity to mingle and network with other people that love pets and support Long Island’s animal shelters and rescue groups. You can also donate to Pet Peeves right from the website.